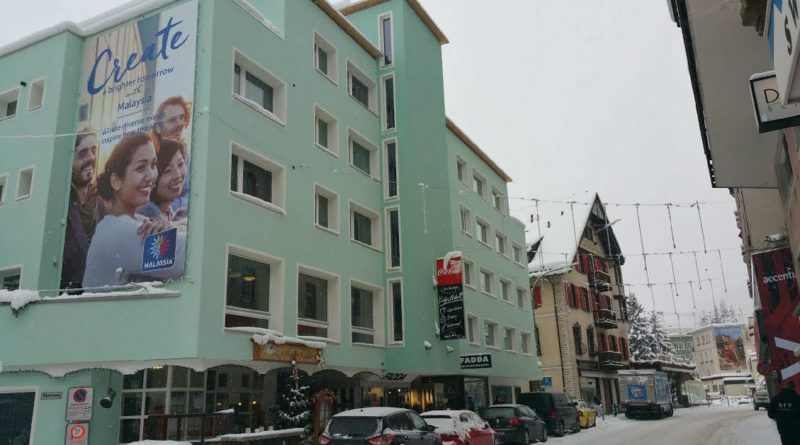 For several years now, January has seen a large majority of local residents of the snow resort of Davos in Switzerland move out of their homes for about a week or so to let in the world, literally! Business tycoons, governments, premiers and presidents, academia, citizen activists, media and a sprinkling of literary authors, and sometimes even movie stars from across the globe converge for the Annual Meeting of the World Economic Forum (WEF) at Davos in January to debate and discuss the future of the world. Whilst an exhaustive agenda scripted by the WEF keeps the delegates engaged at the Kongress Centre, a whole host of world issues get equal attention through scores of private meetings, workshops, panel discussions, receptions organised privately by participating firms and now nations. Evening receptions by countries are a staple at Davos, offering a bewildering choice to delegates: Korean night, Japanese evening, Indian, Chinese, Indonesian, Malaysian receptions…. In fact the list is endless. These are remarkably similar in nature: country nights invariably take place should there be a visiting dignitary from the country at Davos – premier, president or even a minister. Vivid country designs, cuisines and sometimes country folk dances are thrown in as major attractions. Delegates usually like to hop in and out of each of these in a single night to savour the ambience and network with the decision makers or prospective firms in target markets. What is so striking here? The fact that such initiatives have been overwhelmingly led by Asian nations! I do not distinctly recall over a decade or so of association with Davos a UK night or an American evening, a Swiss reception! Over the years, countries have had the honour of staging their soiree on invitation by the WEF, but the larger country branding campaigns have invariably been led by Asia at Davos. The reasons are obvious. With the kind of eclectic mix of business and government presence being powered by WEF, Davos has emerged as an essential pitching ground for nations for business, investments and tourism. In this, China seemingly stands apart. Year on year it has ensured it remains centre stage at the Kongress Centre. Outside of the Kongress Centre, China at times also organises media interactions or a reception at Davos. China probably has a novel partnership in place with WEF. For some years now, it has been playing host to the WEF Annual Meeting of the New Champions, referred to by media in some quarters in the initial years as the Summer Davos given the sheer scale of preparations and participation it attracted drawing a parallel with the snowy WEF Davos. And then probably follow the country marketing and communications campaigns, which have acquired new hues over the years. Tourism destination branding campaigns and posters have given way to business and investment oriented communication. India has been a trendsetter in this context. Its India Everywhere initiative at Davos in 2006 was a strategically planned impact campaign. Even today, delegates remember it among the best country campaigns that swept Davos, presenting a wholesome 360º perspective on India – business, trade, tourism, culture, arts and, of course, a glimpse of its pulsating Bollywood. Things were set to change hereon. Competing economies could not be left far behind. Impact advertising from South Africa, Brazil, Malaysia, Azerbaijan, Russia and many more has become far more visible at Davos through the years. Today, probably there is more in the face advertising by countries than the corporate sector at Davos. And in this the Asian nations take the lead. Business lounges and boardroom discussions are the more typical settings for the corporate sector. India has been strikingly novel in its nation branding and communications strategy at Davos. In 2011, India decided to do something very different. The India Brand Equity Foundation, the branding agency of the Ministry of Commerce, Government of India, created an India Adda (akin a café) at the fashionable Café Schneider on the Promenade. And ran with it the initiative – Join in Conversations on India! It provided delegates at Davos access to the decision makers and businesses from India, with IBEF playing the role of a facilitator. Moreover, it gave India its own space to tell its story. The best of Indian cuisine served as an obvious draw! It has seen scores of delegates, including the former President of the United States Bill Clinton, and former Prime Minister of the UK, David Cameron, who visited – unscheduled – the India Adda. Having scripted it from the start at Davos, I can say with reasonable experience that campaigns of this nature to be successful need to be meticulously planned, nuanced and focused to an audience, engaging and substantive. With the India Adda, a country lounge had now been introduced at Davos. And of course, other nations followed suit. Malaysia, South Africa, Azerbaijan, Russia – but none have been able to create the resonance that India has succeeded in creating at Davos. And again in a first for any country at Davos, a regional state from India – Andhra Pradesh – preferred to set up its own state lounge in 2015 to pursue its own business agenda. On the ground sources suggest that Malaysia and Saudi Arabia, which were earlier planning to set up country lounges at WEF Davos 2017, have now decided otherwise. Probably it is only India and its regional state setting up shop at the forum this year. Davos has seen an overplay of country campaigns being mounted by Asian nations by way of hoardings, bus wraps, lounges, cultural evenings and national receptions. Surprisingly, these have continued unabated at Davos, notwithstanding the waxing and waning global business tides. This exposes the frailties of such campaigns and eventually intent of purpose. Is it simply the me-too and have been at Davos factor driving such initiatives? Whilst hoardings create visibility, branding initiatives like country lounges need to be crafted to purpose, lest these plunge into mere comfortable reception zones for visiting Asian dignitaries unaccustomed to snowy climes. Countries need to identify their target audience, the segments that they seek to impress upon and the influencer community they intend to engage with. In the absence of a sharp thought-through strategy, these campaigns risk looking alike and quite purposeless. Davos is an opportunity to pitch and play to purpose. For now, so far as country campaigns go, it appears overpitched on pure play advertising and underplayed on strategy! Could Davos 2017 be any different? Aparna Sharma is a Brand Strategist and a Communications and Public Affairs Expert. She is a Founding Member and former CEO of the India Brand Equity Foundation. In her role as Observer, Aparna shares her thoughts on the branding and reputation of countries, states and regions in Asia. 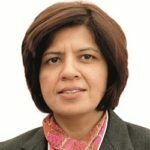 Connect with Aparna Sharma on LinkedIn or learn more about her work in our interview.